So… this is my first little YouTube How to video! Enjoy and be kind. 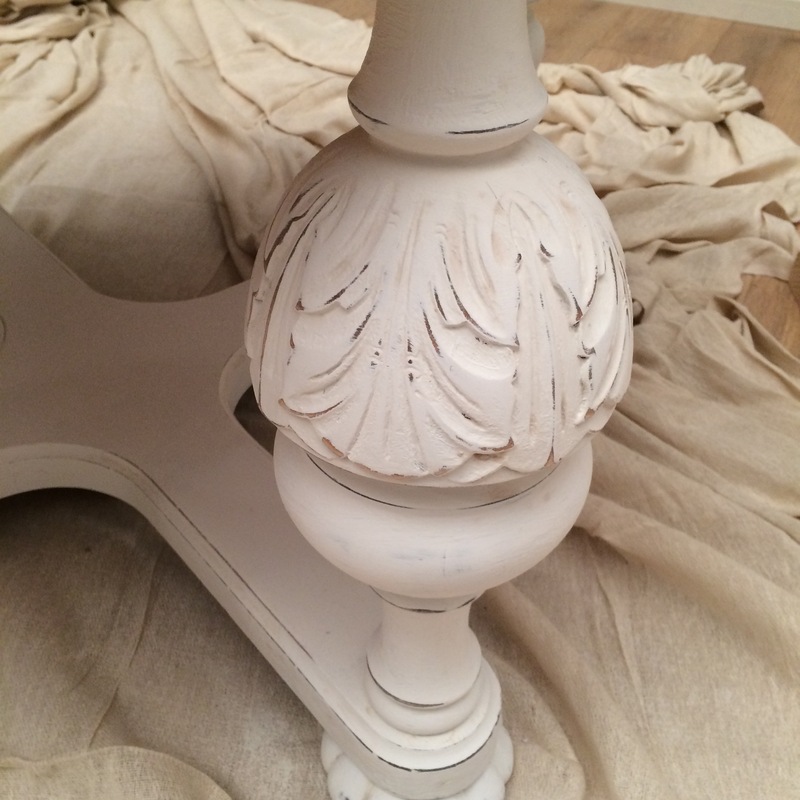 I show you how to get a shabby chic finish on an out-of-date table. 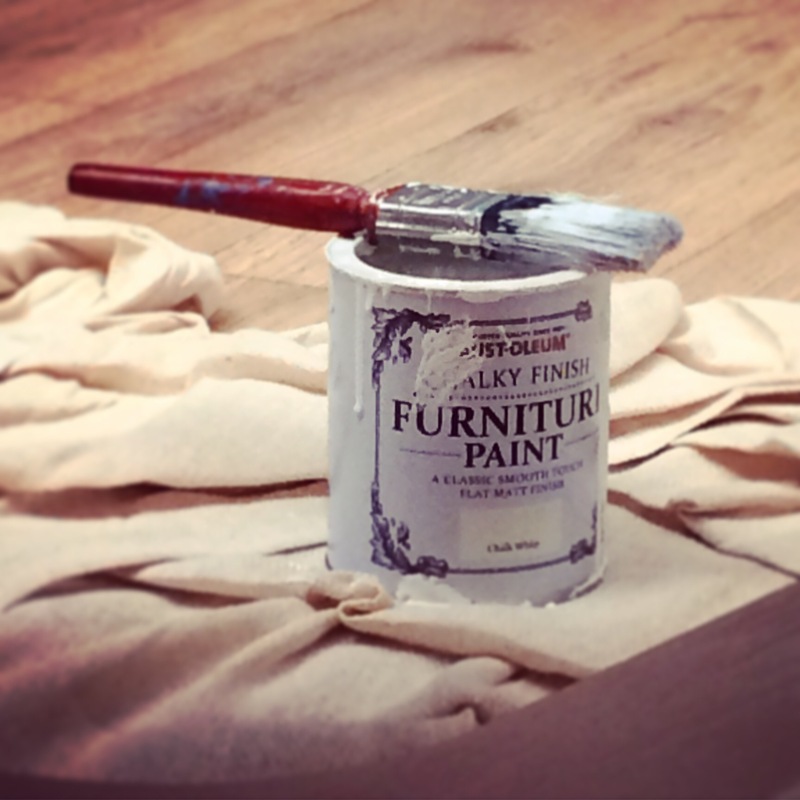 Rust-oleum Chalky Funish furniture paint – I used chalk white, you can get the full range from Homebase in the UK. Make sure the table is clean and free from any dust and dirt. If you paint onto dust, the paint sticks to that and not the table, so will flake off. No need to sand but it certainly won’t hurt if you wanted to give it a light sand to make absolutely sure. Give the table 2-3 coats of paint, leaving time to dry in between. You can leave it a nice solid flat colour or you can use a fine sandpaper to distress the edges. Only sand the edges that would naturally get worn to give it a genuine shabby look. You can use a different colour under the sanded edges, I’m going to show how how in another post though as I’ve got some lovely paint to test with. Once you’re happy with the effect give it a good coat of wax with a cloth. Rub it in a circular motion and make sure you get in all the nooks and crannies. Leave it for a good 15 minutes to soak into the paint before buffing it off with a lint free cloth. It should feel silky smooth once the wax is dry. And that’s it. Click on the video at the top of the post to watch the video if you want to see how it’s done with a Geordie accent! I love painting furniture. This has made me want to change up some of my furniture.